As one of today’s greatest sports competitors, Lewis Hamilton will represent the world of TOMMY HILFIGER men’s as global brand ambassador starting Spring 2018. Tommy Hilfiger and Lewis Hamilton. 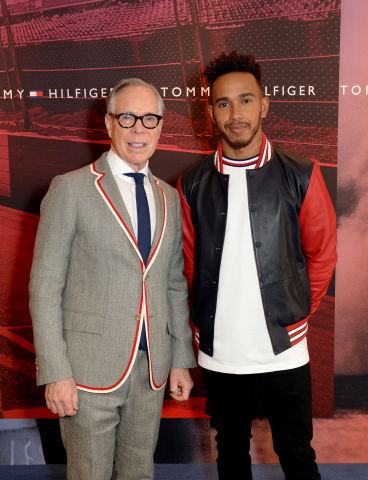 AMSTERDAM--(BUSINESS WIRE)--Tommy Hilfiger, which is owned by PVH Corp. [NYSE: PVH], announces that British Formula One racing driver and four-time Formula One® World Champion Lewis Hamilton will appear as the new global brand ambassador for TOMMY HILFIGER men’s, including HILFIGER COLLECTION, TOMMY HILFIGER TAILORED and TOMMY HILFIGER Menswear, Underwear and Swimwear, starting Spring 2018. The partnership reflects Tommy Hilfiger’s strategic commitment to build on its strong menswear heritage and further drive the global growth of its men’s business, bringing the next generation of fans to the brand.